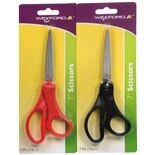 For projects and crafts, school scissors come in varieties that include options for different age groups. 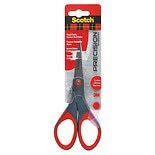 Younger children can safely use kids scissors that will cut paper but have blunt tips. 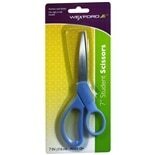 Soft handle scissors can be comfortable and handy for older students. 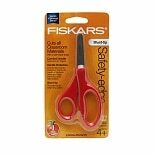 Choose from an assortment of lengths, colors and brands like Fiskars, 3M and It's Academic to find the school scissors that best meet your or your kids' needs. 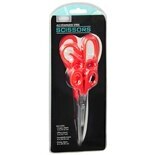 Here at Walgreens.com, you'll find other types of scissors for use around the home. 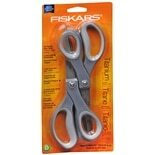 Choose a pair that will cut easily, fit in your hands comfortably and is suitable for the particular task. 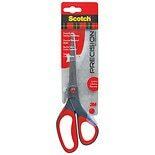 Most general-purpose scissors will do, but there are specialty scissors for specific uses. Art scissors feature blades with different shapes that add decorative edges to paper. 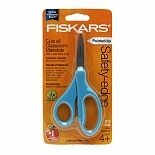 These scissors are ideal for crafting and scrapbooking. If you're looking for school supplies for your kids, browse our selection of rulers and compasses that can also help with their projects. For day-to-day tasks such as note-taking and assignments, there are many pens, pencils and notebooks among our selection. Help your kids keep it all organized with binders such as three ring binders and zippered binders, as well as backpacks, messenger bags and folders.